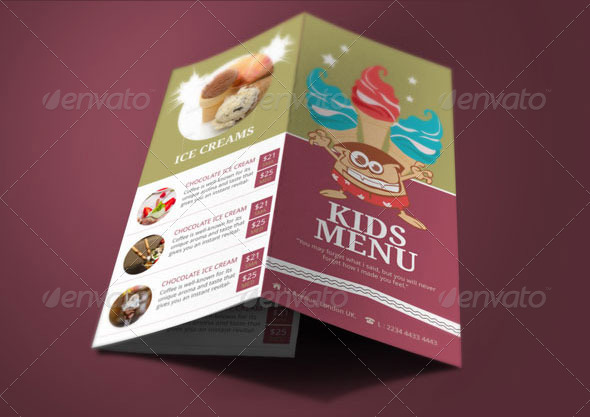 This is a Kids Menu Template for snack, cookies, ice creams, chocolate owners to advertise their products to attract kids. You can be a chocolatier, a restaurant, a fast food shop and you surely have a kids corner. 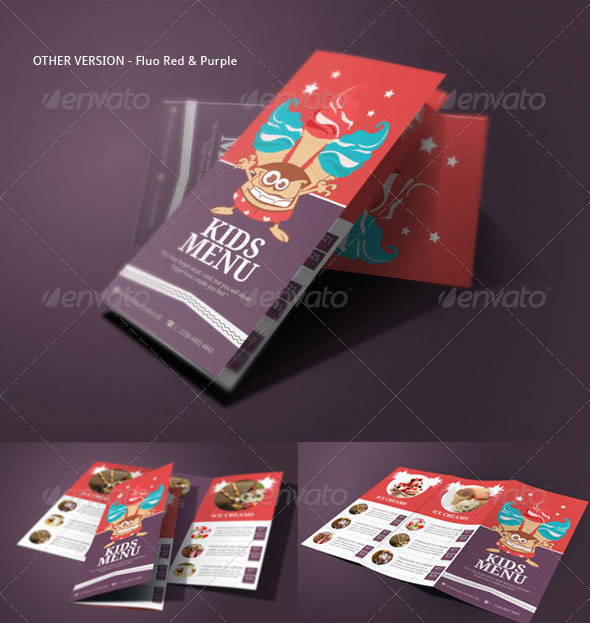 You can advertise your kids menu in this Tri Fold Brochure. 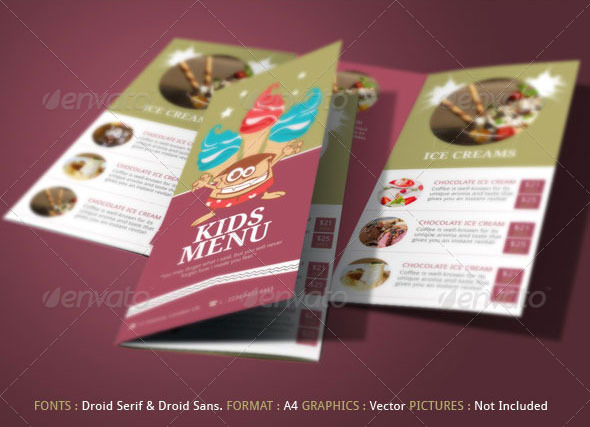 Put this brochure sample on the table or shelf and wait till the kids ask their parents to buy the ice creams or chocolates or cookies. 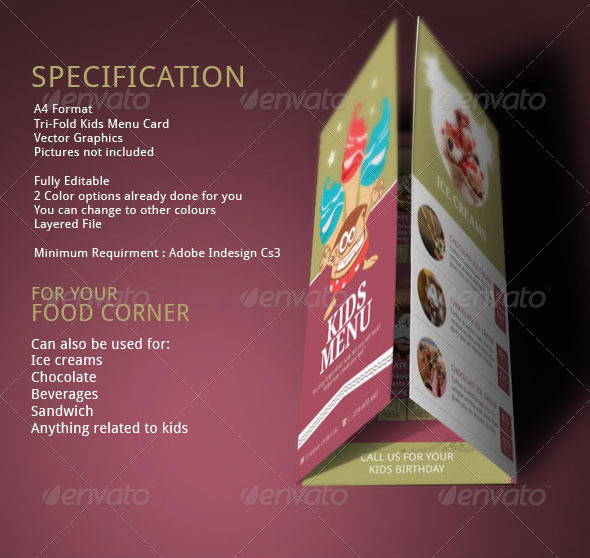 The Menu template is fully editable and is excellent for your bistro or restaurant. 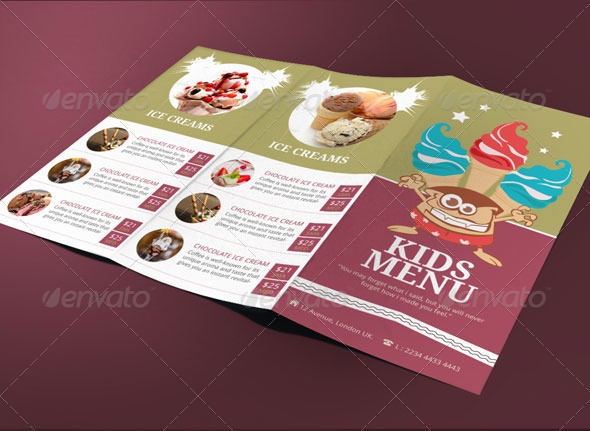 You need Great menu design and Advertising ideas to succeed. 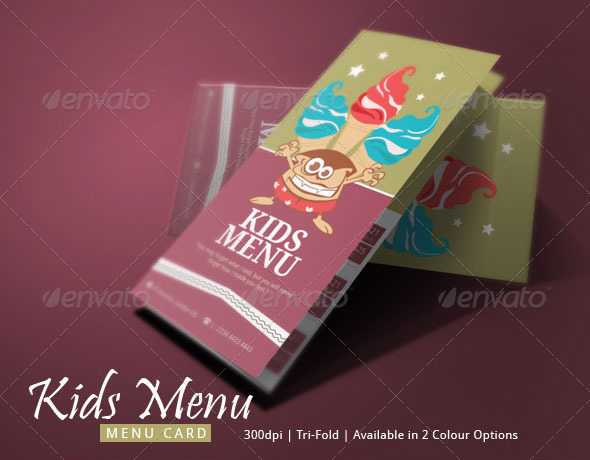 Show the clients what products you have for kids, and if you offer other products such as healthy sandwiches, healthy salads, list them all.